110 of the world's top cinematographers discuss the art of how and why films look the way they do. Slavoj Zizek examines famous films in a philosophical and a psychoanalytic context. 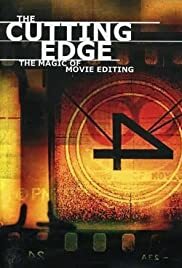 Do you know of the importance of the Film Editor to making a great film or to leave the best on the cutting room floor? Did you know that Spielberg & Scorcese will not let any Actor into the Cutting Room (but that Sean Penn will do so)....that earlier there were "Basic Rules" to editing but that the rules went asunder under the French "New Wave"! PLEASE: Ignore the low score and note that almost all viewers gave this documentary either a TEN or a one....and we all know that there is a small percentage of IMDb'ers that truly HATE films and will do anything in their zeal to burn their path of ignorance behind them in an effort to bring everyone to their level of ignorance. How sad to disdain our basic need to learn about life and specifically to learn about what make a Great Film what it will become. 26 of 29 people found this review helpful. Was this review helpful to you?